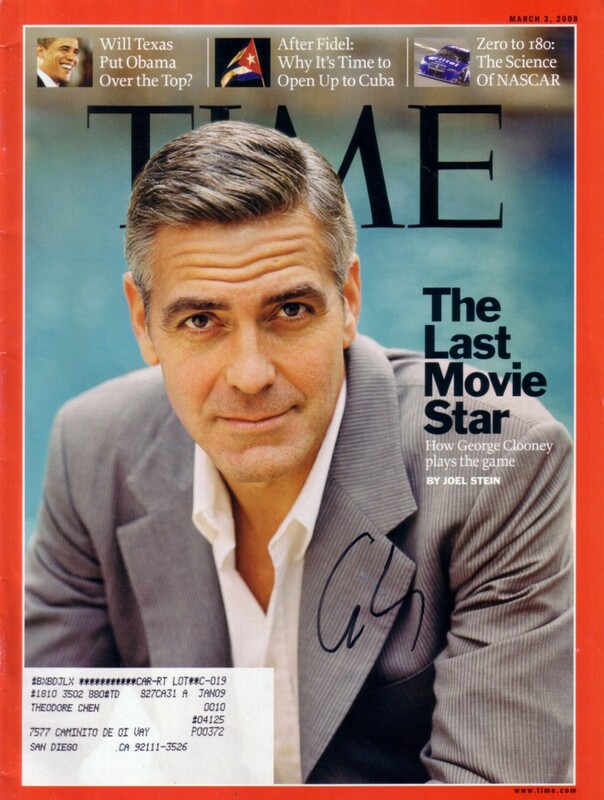 Complete 2008 Time magazine autographed in black marker by superstar actor George Clooney. 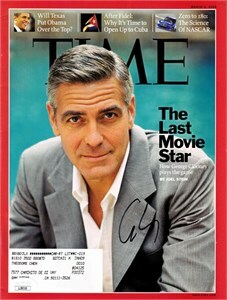 Obtained in person at 2011 Hollywood movie premiere. With certificate of authenticity from AutographsForSale.com and signing photo from the premiere. Has subscription address and very minor wear. ONLY ONE AVAILABLE FOR SALE.